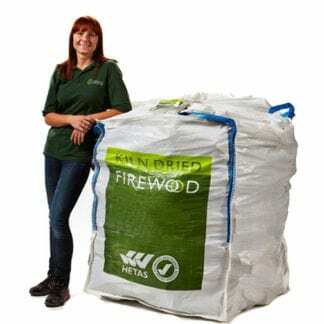 Price inc VAT | Free delivery (when bought with logs) | Money back guarantee. 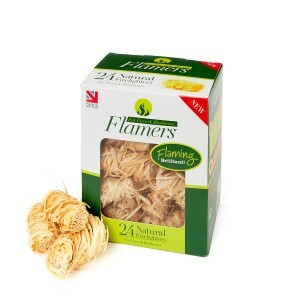 Flamers are particularly popular because they are natural, odourless, easy to light and have a long burn. 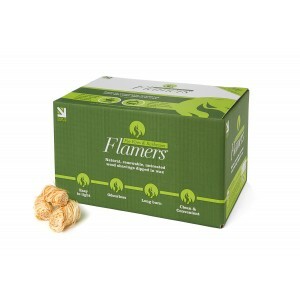 Get free delivery when you buy alongside your bulk order of firewood and we’ll recommend how many flamers you need based on your order. 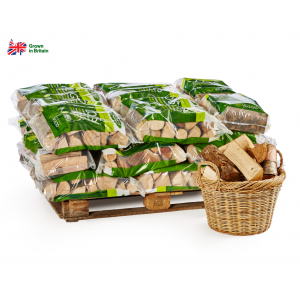 Boxes are added to the top of pallets and delivery is free if ordered with your bulk orders of firewood, but there will be a small delivery charge if ordered on their own and delivery will then be via a courier in which case they will be delivered within 2-3 working days. 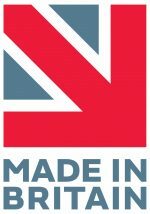 ‘Monday > Friday’ delivery available (free for orders over £130). Saturday delivery available (additional £30). 9-5pm delivery time frame. Delivery time slots not available. 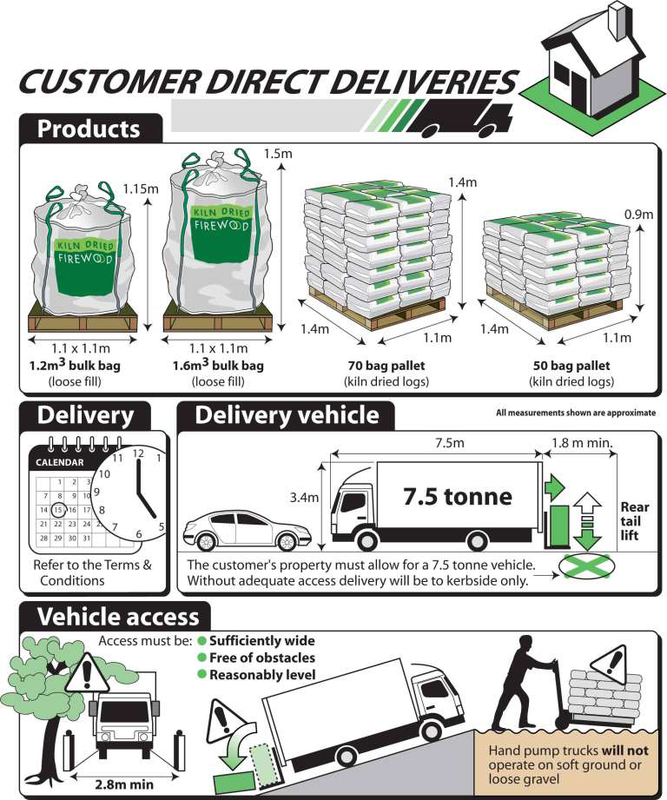 Click for Full Delivery Information.